This blog post is about the Cisco 3600 access point, the 802.11 AC Module (wave 1) available for that access point and finally the software called "chanalyzer" available to help you with detecting interference and leveraging your Cisco Cleanair access points. 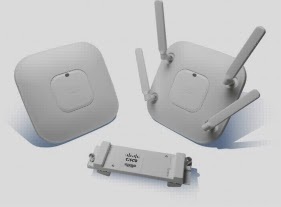 The picture above shows them in all there glory, along with the 802.11 AC Module. The 802.11 AC module is I believe, an industry first in that your existing 802.11N access points (the 3600's) can be field upgraded to 802.11AC. 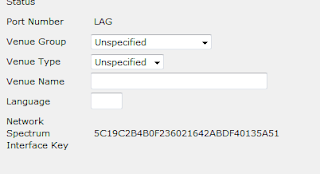 - If 802.11 Ac can offer "gigabit wifi", and its maximum theoretical speed is 1.3 Gigabits per second, don't I need more than 1 gigabit connection from the AP to the switch? No! 1.3 Gigabit is the maximum theoretical PHYSICAL speed of the radio media, the actual throughput onto the LAN will be less, quite a bit less as we will see. - Does the 802.11 AC Module require more power? - Is it really just plug and play? Yes! 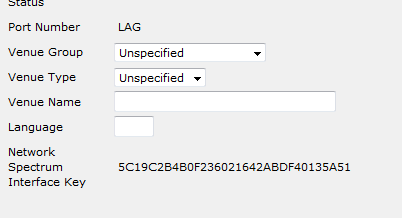 Simply turn the AP off, plug the module in, turn it back on and make sure your running WLC Code of version 7.5 or later, then enable 802.11 AC in the controller. What kind of speed can we really get from 802.11AC? Laptop connected to gigabit network. The enviroment was a home setup with quite a bit of wireless interference. The results above show that 802.11 AC could potentially be a worthwhile improvement, but is certainly not the gigabit wifi we have been led to believe it could be. The software can be used to connect to a Cisco Access Point running clean air to retrieve spectrum information in real-time! The above screen looks quite busy but is essentially showing interfering devices, in this case an xbox controller. This real-time analysis can really help you realize what might be affecting the network. This can be very useful for troubleshooting Clean Air Problems. Incidentally, this is my first blog post as a Cisco Data Center Champion, an honor I was recently bestowed by Cisco. Hopefully I can live up to the name!